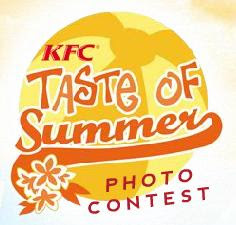 KFC Summer Photo Contest ~ Philippine Freebies, Promos, Contests and MORE! Instead of going away to a summer destination, why don't you bring summer to you instead? That's exactly what KFC asks you to do in their Summer Photo Contest. Take a photo of yourself and your friends, family or office workers in summer getup at places that you feel desperately needs the vibe of summer. 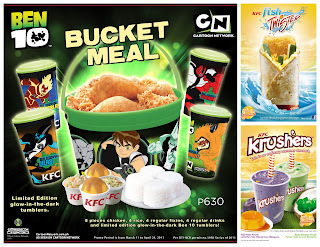 Make sure you are holding any of KFC's summer products - the Summer Krushers Cup, Ben10 Bucket Meal and Fish Twister. The top photos of each summer product will Win Trips to local and international destinations! The familiar Twister gets a makeover as the new Fish Twister, a crisp fish fillet paired with a creamy dill dressing and served with fresh cucumbers and cheese in a toasted tortilla wrap. So sawrap! The beloved summer dessert Halo-halo and Buko Pandan becomes easier to drink and to bring around as the ice-cold Summer Krushers drink. So long as the product is in the photo, you may enter it in that category. Multiple entries allowed. 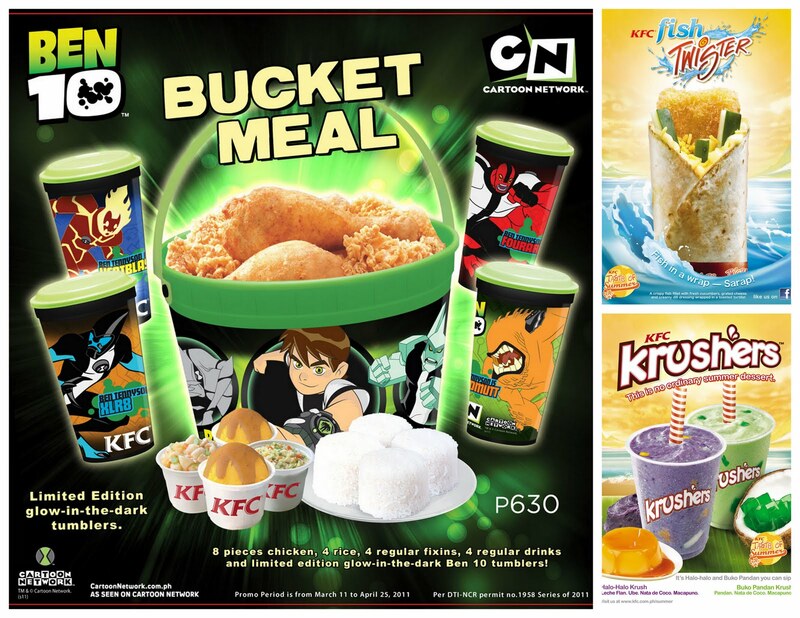 BEN 10 Bucket Meal Winner - Trip for 4 to either of the following Asian theme parks: Hong Kong Disneyland, Hong Kong Ocean Park or Universal Studios Singapore.